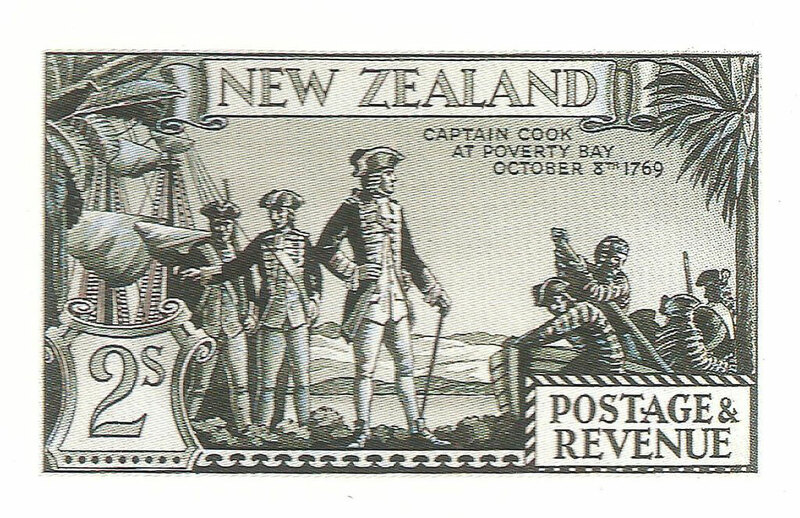 2/- Capt.Cook - New Zealand Stamps, A 1935 Pictorial overview. 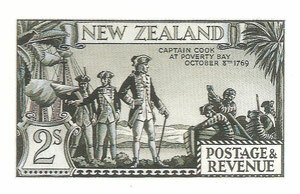 T H Jenkin original artwork. 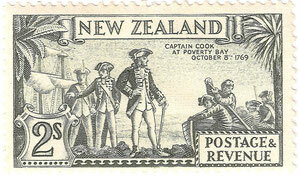 2/- Arrival of Captain Cook, one of the most studied stamps in New Zealand, with its long period of usuage, the three plates show much wear, resulting in many flaws and re entries. Designer T.H. Jenkins.